The Mazda 6 is a good car, even if many buyers ignore the existence of sedans these days, and it’s long come with the option for a manual transmission—even if the stick is currently relegated to the car’s lowest trim.But citing dealer order guides,CarsDirect reports that the manual will be no more in 2019. We have not seen the order guides, but we have reached out to Mazda for confirmation on the fate of the manual and the below reported prices.We’ll update this story if we hear back. CarsDirect reports that Mazda will keep the option for either the standard 187-horsepowerengine or a turbocharged 227-HPone for the 2019 model, but that there won’t be a choice when it comes to number of pedals: Every Mazda 6 trim will get a six-speed automatic,the story said, citing order guides. 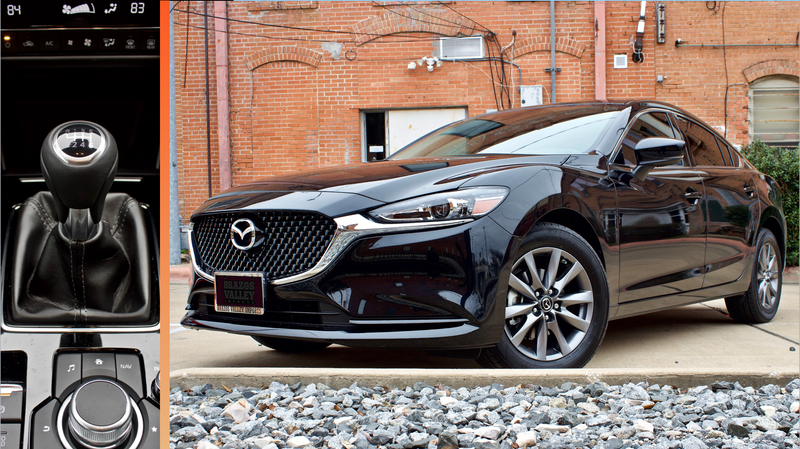 It’s a sad outcome, if it happens, since the manual Mazda 6 is a great value for a new car—even when compared to its significantly more expensive turbocharged superiorsdown the lineup. But it’s also understandable monetarily, given that both sedans and manuals are a hard sell anymore. That’s just how things are, no matter how hard they might be to accept. Less than 3 percent of new cars sold in the U.S. in 2016had manual transmissions, the LA Times reported that year, compared to 7 percent in 2012and 25 percent in 1992. Sedans are also suffering in the crossover craze. Clarification: March 27, 2019 at 5:51 p.m. ET: The verbiage in the headline of this story was changed from “will lose the manual” to “could lose,” in order to put emphasis on the fact that this is a report and unconfirmed by Mazda.